Mohini BinepalCo-founder & Head of Retail, Sara Soule Pvt. 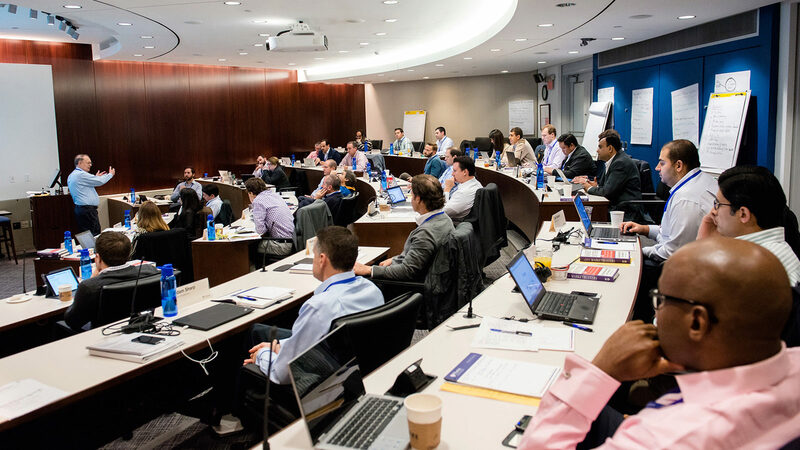 Ltd.
Mohini Binepal says Wharton’s Advanced Management Program tested her leadership capabilities and accelerated her learning by putting her into different experiential environments. Jason DabrowChief Operating Officer, Chelten House Products Inc.
For executives who are driven to excel, the General Management Program is a rigorous and highly-experiential six-program learning journey that includes executive coaching and membership to one of the world’s most powerful alumni networks. 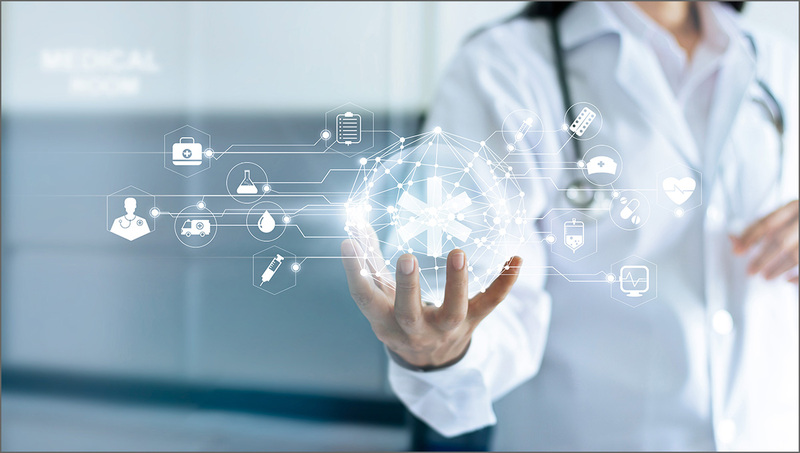 As Wharton Professor Christian Terwiesch tells health care leaders, “the need to innovate is knocking at your door.” A new program helps jump-start the process. 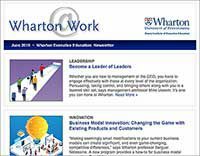 To further leverage the value and impact of a program across your organization, we encourage companies to send multiple executives to Wharton. 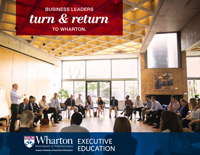 Receive a tuition benefit when you send four or more executives to a Wharton program. 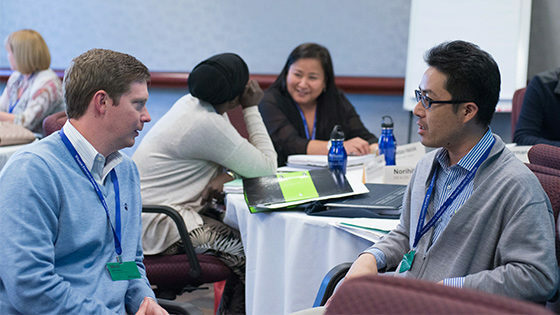 Wharton’s Executive Development Program is designed for successful functional, country, or unit managers preparing to take on broader responsibilities that require leading outside their areas of education and experience.